Concrete companies like ours often do concrete driveway repair, replacement, paving & installation, but how are their services different from ours? We are all concrete contractors in Virginia Beach so how to choose the right one? Let's say your concrete driveway was last repaved 15 years ago and is now starting to crack and look like Frankenstein's cracked up head. Find a concrete contractor near you, right? Totally! That's what we'd do too, if we didn't make our living doing concrete replacement all day long. ​The real questions is how to find the right driveway contractors for you and where to find reviews that will lead you in the right direction. Nothing makes a statement for your property better than a stamped concrete driveway. With so many choices in patterns and colors, the sky is the limit for what you can do to make your home the envy of the neighborhood. 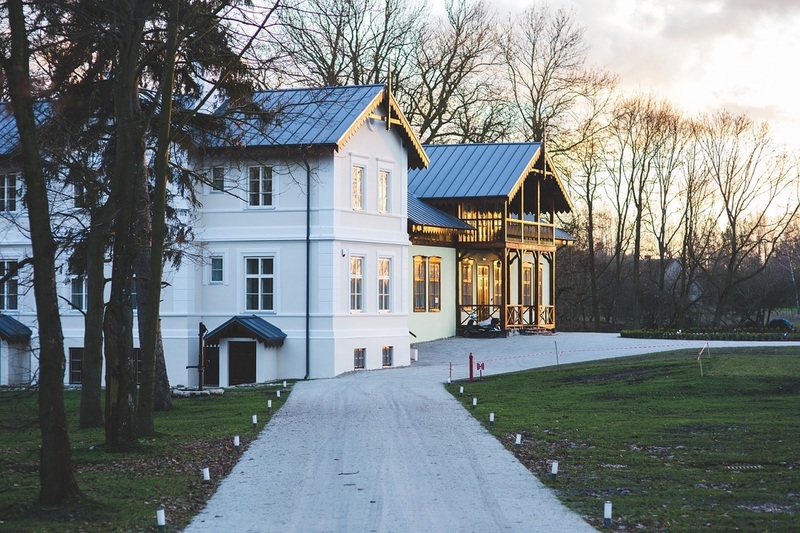 If your home has a Colonial feel to it, perhaps adding a cobblestone stamped driveway would make the driveway stand out and keep it from getting “lost” on the property. If your home was built with all brick, maybe extending that look into the driveway would be the way to go. Depending on the look you are going for, the cost related to having a stamped driveway installed into your property is relatively inexpensive. For example, if you wanted an all brick driveway installed on your property, you would need to purchase enough bricks to cover the length of your driveway. This alone could make having this style of driveway installed to become quite costly, depending on the size, style and color of the brick you choose. And at this point, you haven’t even taken into account the cost for time and labor. However, if you decided to have your stamped driveway installed and you had the same look of brick stamped into that concrete, the cost would be much, much less. The materials needed to install a stamped concrete driveway are inexpensive, as well. Professional installers have the proper materials and all the necessary tools required to do this for you in the quickest, most effective manner. If you are a DIY homeowner and you decide to do a project like this on your own, you need to do your research and practice on a small piece of concrete before you get into the thick of the project, so you are comfortable with what you are doing. Doing this will also give you the confidence in your handiwork and keep you from messing up an area of the project that would be difficult to remove later. Concrete driveways are affordable, cost effective and last a long time. One of the pros of having a concrete driveway poured is that you can add the option of having warmers installed beneath the concrete, which help to keep the concrete from accumulating ice and snow in colder climates over the winter months. One of the cons of though, is that if it should crack, due to ground settling or tree root movement, you will have to cut a section of the driveway and re-pour new concrete down. If the concrete was stamped and painted, you will also need to painstakingly rematch the pattern and color, in order to make it look like it was never disrupted. Driveway prices - One of the biggest determining factors for the majority of customers is the price of the completed product, in this case a driveway repair or resurfacing job. Nobody will volunteer to spend more money for a product or service offered elsewhere for a lesser price and with the same quality of service, don't you agree? We thought so! The funny thing about the pricing is that there are certain industry averages which set the expectations for the customer and the contractor. What neither one of them realize is that a smaller company with fewer employees, who doesn't have an office and has less of an overhead is able to provide better, more timely service, very personal approach, same quality of work and all for a much better price. The problem with those companies is just that… They're smaller and are generally, not always, are harder to find. Our concrete company is exactly that! We are licensed, bonded and insured like any other concrete contractor in Virginia Beach and Norfolk, but we are a bit smaller, with less overhead, better prices and a much more personal approach! Go ahead and give us a call if you are in search of a reliable, swift and professional concrete driveway contractors in Virginia Beach, Norfolk, Chesapeake or Portsmouth. Company reviews - More than once, we have heard from our past and current customers that they have found and contacted us for a free estimate because of the best reviews in town. For the record… We take a lot of pride in the work we do and will never ignore an unsatisfied customer. Every issue and complaint we've ever had has been resolved and we're going to keep it that way. Our company does fantastic concrete work and we do it with a smile on our faces. One of the things we keep reading about in the reviews is our never ending positive attitude towards the job no matter if it's a concrete driveway, patio or a slab. So many satisfied customer that we have done repair, replacement and resurfacing work for cannot be wrong, can they? If you don't think so, then give us a call right now at (757) 347-8337 and let us earn your business like we've do to so many residential & commercial customers here in Hampton Roads. Contractor license - The last and also a very important group of people, are ones who are looking for licensed and insured concrete contractors. It is very important in terms of trust and verification of knowledge and experience. Nowadays, a small percentage of companies and individuals choose not to be licensed or insured if the state doesn't require it, which can definitely impact your decision, as a customer, of whether or not to do business with a said concrete company. Concrete driveway & patio of Virginia Beach is fully licensed, bonded and insured, but that's not all. We also provide free estimates before any work is done on your property. Simply give us a call at (757) 347-8337 or fill out our free quote form to get your work evaluated by our professional team. Q: How much does a concrete driveway cost for a residential property? A: It all depends on the square footage and complexity of the task at hand. Every estimate is different from the next because of individual needs of each customer, but the great thing is that we provide a free estimate for every job! Q: Do you do commercial and industrial concrete repairs and contractor work? A: We generally work with residential concrete customers and rarely do bigger commercial projects, yet we still do them. Give us a call and we'll make sure to find a solution for your concrete problem. Q: How do I get a free estimate for a new concrete driveway or patio? A: Glad you've asked! Simply give us a call at (757) 347-8337 or fill out our free estimate form with all up-to-date information about yourself and the work you need done, and we'll get back to you as soon as possible. Q: Can you consult me if I need a driveway repair or replacement done? A: Absolutely! Prior to performing any concrete repairs, we do the estimate as well as a consultation based on your needs. Our goal is for you to get exactly what you need at the lowest price possible. Q: Do you provide concrete driveway expansion & widening estimates? A: We most certainly do. Part of being a licensed concrete contractor is the ability to do anything with concrete, and extensions are definitely a big part of it. Give us a call at (757) 347-8337 to schedule your estimate today! Q: Is concrete slab repair one of your specialties? A: Yes. We've performed numerous concrete slab repair & installation jobs all over the Hampton Roads and Virginia Beach in particular. Our concrete company doesn't provide any services which we are not the best at. Bottom line is that you're most likely not looking for an amateur to pave or repair your concrete driveway, patio or slab and are not looking to save a quick buck at an expense of future repairs because the work wasn't done right the first time. Call us now at (757) 347-8337 to schedule your free estimate or simply fill out our free quote form and get a quick response. We appreciate your business.